Whether you’ve been feeling stressed at work, too busy to spend quality time with friends or family or so distracted by your phone or computer that you’re missing the natural beauty that Australia has to offer, a getaway to Kangaroo Island might be …read more. Are You Hoping to Visit Kakadu National Park? Explore Safely with Park Trek’s Kakadu Walking Tours this Spring! Kakadu National Park is one of Australia’s oldest and most prominent parks, and is even listed in the world heritage list of parks. As a result, Kakadu tours and Kakadu walks are extremely popular, particularly for lovers of the outdoors. If you have always wanted to go on …read more. Book Great Ocean Road Walking Tours through Park Trek in Australia! Australia offers a laundry list of the most remarkable vistas, beaches, wilderness expanses and busy national parks that you will ever see. In particular, the coastline of Victoria is something that needs to be explored if you are vacationing in the area. But if you feel nervous about the …read more. Flinders Ranges tours are popular walking tours in Australia because of the unique scenery, plethora of trails, and nearby national park (Mount Remarkable). While there are many different kinds of …read more. In February 2014, when Lonely Planet ranked their “Top 10 extraordinary places to stay in 2014,” Tasmania’s own Cradle Mountain Lodge was slotted at number five. And while the destination was praised for its rustic cabins and ‘locally sourced game, wine, cheeses and honey,’ it ultimately made the top five because of …read more. 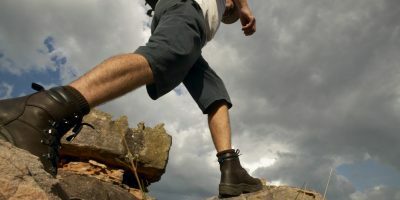 Looking for an Australian hiking trip that requires some real stamina and physical fitness in some spots, but allows for rest and easy walking in others? If so, then the Grampians Peak trail might be the perfect choice for you! The Grampians National Park is one of Australia’s notable natural treasures, featuring everything from …read more. 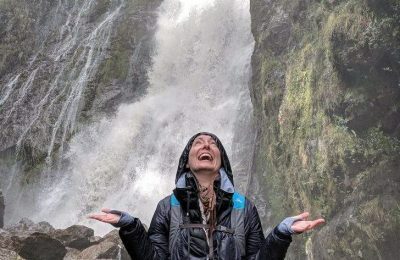 Explore the World’s Largest Cool Temperate Rainforest: Take a Walking Tour of the Tarkine Wilderness Trails, with Park Trek! You don’t have to jet off to South America or Africa to experience a magnificent rainforest. On the contrary, you just need to catch a flight from Melbourne over to Tasmania! The Tarkine wilderness is not just one of …read more. For the past 15 years, Park Trek Walking Holidays has delivered hundreds of tours for guests providing them with a unique holiday experience. With professional and experienced guides, Park Trek offers 17 different tours in …read more. If you’re feeling pent up in your apartment or townhome and are in need of an extended weekend, now is the time to take advantage of the walking tours available in the West MacDonnel range. With summer right around the corner, the weather is …read more . Feeling tired and stressed from dealing with everyday life? One of the best things you can do to is simply to walk. Walks in nature can do wonders for your mind and your body. At Park Trek, we have been providing Alpine high country walking …read more . City life can be exhausting; between the hustle and bustle of daily life and the toil of work, it can often seem like there is never a chance to relax or “get away from it all.” When you want to take a holiday that will truly offer both a unique …read more . Exploring has been a part of the human spirit since time immemorial. From the Age of Sail to the Space Age, discovering the unseen and experiencing the unknown has thrilled and excited us. Even today, we travel around the globe for a taste of …read more . Experiencing “the great outdoors” means doing more than just camping a short distance away from home. It means actually getting out there to experience the splendour of our planet! At Park Trek Walking Holidays, we believe the best way …read more . In terms of sheer breadth of history, few regions in Australia can compete with the Kimberley. Experts suggest that this beautiful area of Western Australia, nestled along the shores of the Indian Ocean and the Timor Sea, was one of the …read more . Wilsons Promontory is both Australia’s southernmost point and its most beautiful peninsula. The Prom, as it is affectionately called by many locals and countrymen, is also dotted with spectacular national parks, incredible walking trails and …read more . he best vacations are the ones that revitalise you both physically and mentally – it is well known that walking is one of the best exercises and that any activity in nature makes it even better. Look for the epiphanies experienced …read more . 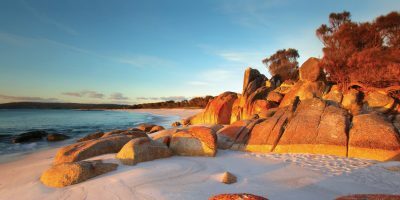 Our Bay of Fires Walking Tour will revitalise you both physically and mentally. Our all-inclusive tour takes you to see some of Tasmania’s most stunning scenery – without the stress of planning, selecting lodging …read more . We know that you have had a desire to “get away from it all.” Well, with our Kangaroo Island Wilderness Trail walking tour, you can even get away from the Australian mainland …read more . It’s possible that Tasmania offers the best alpine views in all of Australia. Certainly, the jaw-dropping oceanic vistas and island views that you will enjoy from the cliff tops of Tasmania are among the most stunning sights you are likely to see in your lifetime. …read more . 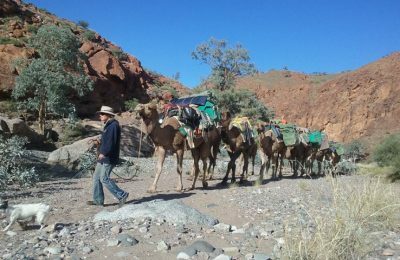 This nine-day tour includes seven days trekking with camels through the spectacular northern Flinders Ranges. The walk departs and returns from Blinman and takes in springs, gorges, creeks and of course unrivalled vistas throughout the amazing ranges. 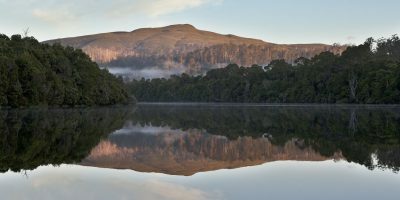 Visit the magic of Tasmania's Tarkine and Cradle Mountain during this 5-day walking tour. 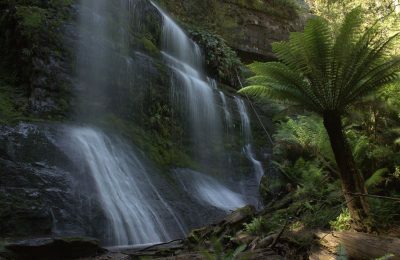 Explore Mount Field and South West Wilderness National Parks in Tasmania over four sensational days of walking and sightseeing, all the while carrying your day pack only. Thank-you for your organising, looking after us, and showing us the best of Kakadu and the Top End with its spectacular scenery, rock formations, rock hole swimming and the different way of life and cultures. We had a great time with our friendly group and very much enjoyed our holiday. All the best, and keep up your great organisation of Park Trek. I thoroughly enjoyed my week in the Snowy Mountains with Trish and Andrew. You certainly know how to choose your employees! They were great fun to be with and also looked us extremely well. The walks were varied with a fair degree of difficulty and stunning views. Thank you for making it possible.